A brand-new formulation that includes Cetyl Myristoleate Complex, Glucosamine, Chondroitin, Bromelain, Papain, Willow Bark, Aloe Vera, Shea Butter and several other anti-inflammatory ingredients, Phoenix KinetiCream goes to work immediately to reduce pain and inflammation. Our users have reported nearly miraculous results from the very first use! 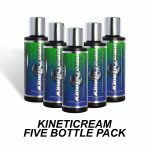 Phoenix KinetiCream is perfect for anyone who wants a fantastic topical pain reliever. 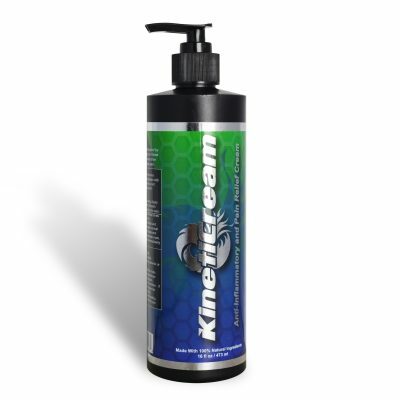 Athletes, both professional and recreational, rave about the results, but this is a product designed for everyone! Directions for Use: Smooth Phoenix KinetiCream over painful areas. 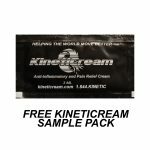 Let cream absorb into skin – it is not necessary to massage it in, but you can. Reapply up to four times daily as needed for pain. For sinus congestion, apply a very small amount over bridge of nose and breathe deeply in through nose and out of mouth. You may apply directly and carefully to nostrils if you wish. The cream may also be lightly and cautiously applied over congested sinus cavities around face and head. Avoid sensitive eyes and lips and any open wounds. For headache or migraine, apply cream as soon as symptoms begin. Smooth a thin layer over forehead, temples and eyebrows. Use caution to avoid eyes. Massage cream into scalp from base of skull and all along back of neck, and from behind ears and down sides of neck. Apply a very small amount over bridge of nose or nostrils and breathe deeply in through nose and out mouth. EFFECTIVE WAYS TO AVOID HEAT STROKE -Stay Chill With These Easy Strategies. Unlocking The Mystery of Chronic Pain: Why Is It So Hard To Treat? Where Did The Idea For Phoenix KinetiCream Start?